A number of automakers -- including Japanese leaders Honda and Toyota -- are recalling around 3.4 million cars due to airbag defects. Toyota (TM) said it was recalling 1.7 million cars around the world, including some popular Corolla, Matrix and Tundra models. Nissan recalled around 480,000 cars, while Mazda added another 45,000 worldwide. Honda (HMC), which is recalling more than 1.1 million autos, said the recall was necessary to replace passenger front airbag inflators. "It is possible that the passenger front airbag inflators in affected vehicles may deploy with too much pressure, which may cause the inflator casing to rupture and could result in injury," the company said in a statement. Most of the recalled cars appeared to be from the 2001, 2002 and 2003 model years. Honda said it was aware of one crash in which a passenger front airbag casing had ruptured after being deployed with too much pressure. The automaker said it was not aware of any injuries or deaths that may have resulted from the defect. Honda has had previous recalls, beginning in 2008, for the same problem in driver's side airbags. Toyota said it had reports of five airbag malfunctions, but no injuries. Toyota spokeswoman Shino Yamada said the airbags in question were manufactured by Takata Corp., a Japan-based supplier. Takata shares declined sharply after the recall was issued, at one point falling more than 15% before recovering to close down 9%. In the United States, the Honda vehicles involved in the recall include 2001 to 2003 Civics and CR-Vs and 2002 Odyssey minivans. Nissan is recalling 2001 to 2003 Maximas, Pathfinders, Sentras, Infiniti I35s and Infiniti QX4s in the U.S., while Mazda is recalling 147 2003 and 2004 Mazda6 sedans and two 2004 Mazda RX-8s. Toyota is recalling some 2001 to 2003 Corollas, Matrixes, Tundra pickups and Lexus CS430s. Toyota is also recalling the Camry, among other models, but in markets outside the U.S.
Manufacturers will identify the specific cars involved and will notify owners. General Motors (GM) is planning to recall an estimated 48,000 Pontiac Vibes. The Vibe was made in the same factory as the Toyota Matrix, and the two vehicles are virtually identical. 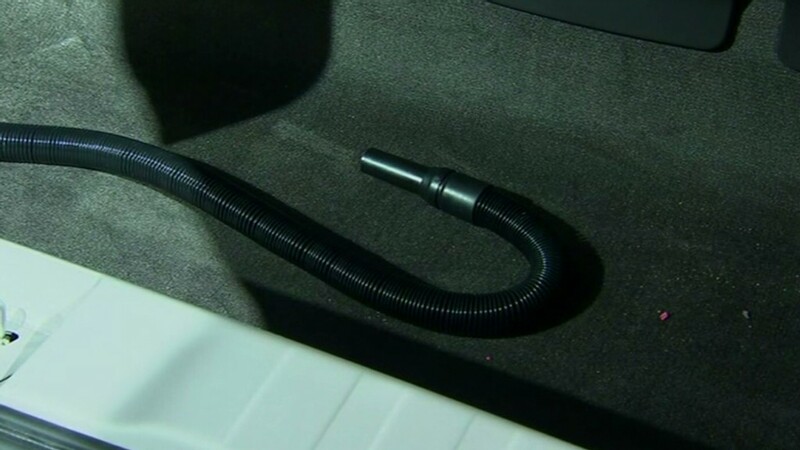 BMW also used the same airbag inflators in some of its cars, according to a document Takata sent to the National Highway Traffic Safety Administration. BMW is currently working to find out which of the German automakers' vehicles might have the airbags, BMW spokesman Matt Russell said. The recall, while large, is not without precedent. 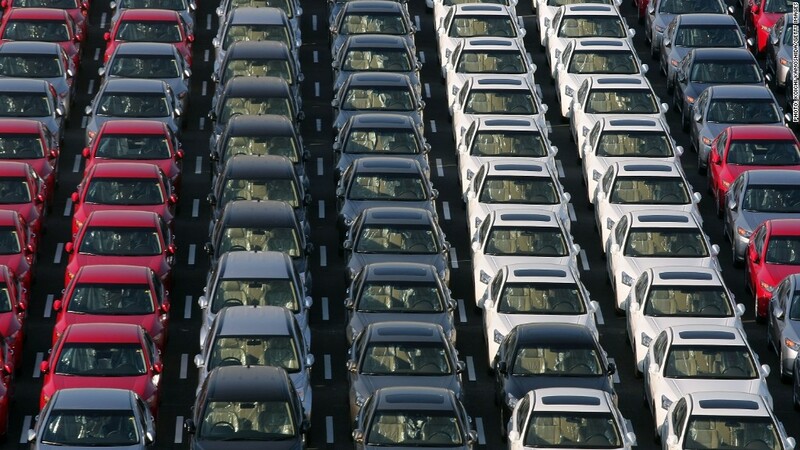 The United States alone has had 13 recalls of more than three million units, according to a list maintained by the D.C.-based Center for Auto Safety. For Toyota, the recall is another blow to its carefully cultivated reputation for quality. The company announced in October a recall of 7.43 million cars due to a power window problem that posed a fire risk. Toyota's largest recall came in 2009 and 2010, when more than 8 million units were brought in for a potential problem involving sticky accelerator pedals. In that case, dealers were told to suspend sales of eight models, and production of those models stopped temporarily. --CNNMoney's Peter Valdes-Dapena contributed to this story.